Learning to spell correctly is a gradual process. While children are writing down the sounds they hear for words, they are also introduced to words used most often, including words like “the” and “of” which don’t sound like they’re written. The first 100 of these high frequency words make up 50% of what we read! Most of these first 100 words are learned by the end of first grade. These words need to be memorized by sight so that children can recognize them instantly. See the games and activities at the end of this article for helping your child learn these sight words. Word BINGO and Word “Concentration” games are especially helpful for recognizing these words. Spelling them often takes written practice. The words your child misspells often can also be written on index cards (and illustrated by him) for using as flash cards or for reference. By second grade, the correct spelling of these words is hoped for, if not expected. If your child is a visual learner, he will memorize the spellings that are not phonetic (as they sound) more quickly than an auditory or hands-on learner. For these children, chanting the spelling and writing them using various media, like a crochet hook in playdough, can be helpful and fun! By second and third grade, most of the next few hundred high frequency words are also memorized. You can do a google search for the first, second, third and fourth 100 high frequency words to see the lists. 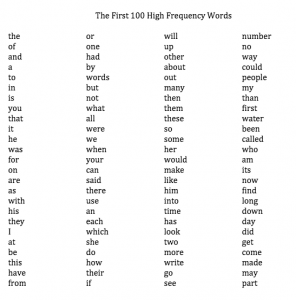 Here are the first 100 high frequency words. 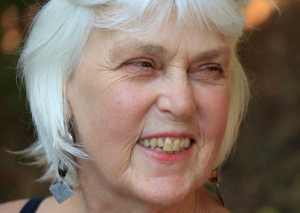 I am an educator, tutor, writing coach, author, and artist based out of Marin county, California. Visit my About page to learn more about me.